Welcome to Greenwood Park Lawn Tennis Club. Regular social tennis sessions are held, as well as internal club tournaments. Adult doubles social tennis is weekly on Thursdays starting at 7pm and Sundays starting at 10am. Junior social tennis is on Fridays starting at 4pm. 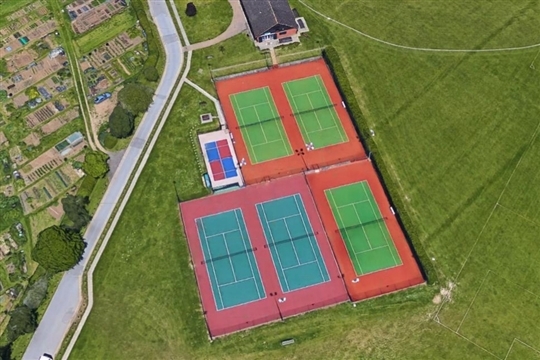 There is a session on Thursday mornings from 9:30 to 11:30am which is open to members and also non-members who have retired and wish to play social outdoor tennis of average standard. For non-members this is on a 'pay and play' basis for £3 a session. However, please note that members will not necessarily be there every week, and so any non-members wishing to play should either check in advance whether any members will be playing that week, or they can turn up on spec in the hope that there will be others there playing. We have 18 teams entered in various competitive leagues throughout the year. 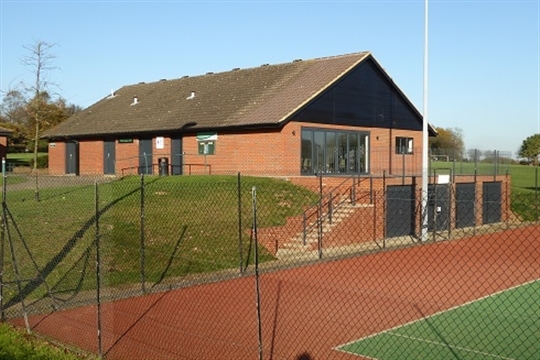 The Club has 5 floodlit all-weather carpet courts plus a Kids Zone for minitennis, a practice wall and a ball machine. Court usage is free to members and courts are available for casual use when not booked for organised sessions. Members may book courts on-line. A charge is made for the use of floodlights, except during Club social tennis sessions. Non-members may use Court 5 for an hourly hire charge of £8, or the Kidszone mini-court (up to age 8) for £2 per hour. Pay on-line or in person at the Convenience Store at the top of Tippendell Lane. Telephone bookings are not accepted. There is a practice wall between Court 5 and the Kidszone, which can be used by anyone booking those courts. Members may play with guests or bring them to Club social sessions, on payment of a £5 visitors fee. KidsZone members may use the KidsZone mini-court when it is not being used for coaching , but must be supervised by a responsible adult at all times. The Club has a pavilion with kitchen facilities, changing room, toilets and a table tennis table. Various social events are held throughout the year. we do not operate an 'all-whites' rule for clothing. New members of all playing standards are very welcome at Greenwood Park. Our membership rates are probably the lowest in the area.